It’s time for another pregnancy update! 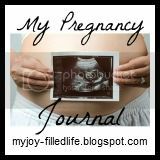 I am participating in My Joy-Filled Life‘s Pregnancy Journal and I am now at 29 weeks! I know I’m getting bigger and much more uncomfortable. My back is giving me a lot of problems. I really need to stick to my doctor’s recommendation and go see a chiropractor. It’s so painful just to do regular things around the house, and if I walk around much the pain is 10 times worse! 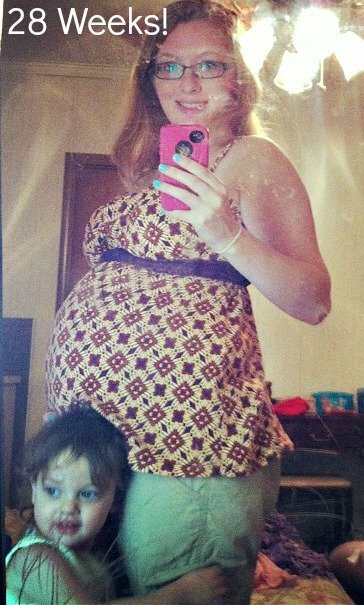 Here I am at about 28 weeks with my little girl attached to my legs, LOL! It’s not easy for me to take pictures of myself. If you’re wondering what’s all over the mirror, well that little girl loves to leave her masterpieces all over everything. That is definitely crayon scribble!I go back to the OB in about a week to check on my placenta. Hopefully all is well and it is far away from my cervix. Discussion Question: This week’s question is for supporting, encouraging, and sharing wisdom with the first-time moms. Flor just had her first baby, and I know there is at least one other first time mom that has recently joined the link up. So, all you “been-there-done-that” moms, what words of wisdom would you like to share with our first time moms (or any first time moms that might be reading)? My Answer: Definitely rest with the baby as much as possible. The time that your baby is a newborn is so short and sweet, you need to soak it up as much as possible. Let others help you around the house and with meals. Thanks for the recommendation, Brooke!